Often, when talking about pricing a house with a seller, they say something like “Couldn’t we price it at this and won’t people just make an offer if they like the house?” Makes a lot of sense when viewed through the seller’s mind, but doesn’t when you look at it through the buyer’s eyes. Why? Let’s say a buyer is pre-approved for $190k. You have a house that is worth $170k, but are asking $190k because somebody will make an offer if they like it. So, the buyer goes out and looks at every house that is priced at $190k, most of which are really worth about $190k. To that buyer, your house seems like the worst house he has seen. Why? He is comparing it in HIS mind to the better houses that are worth $190k. The buyer is either going to get a better location, a bigger house, or one in better condition……They are never going to like your house enough to make an offer. On the flip side, the person who is going to spend $170k is never going to see your house because they aren’t looking that much over their price cap. So, you have a situation where the people looking at your house aren’t going to buy it and the person who would buy it isn’t going to see it! 1) If you must price on the high side, never go more than 5% over the comps. Once you get up around 10% over people won’t even come to look at it. Sometimes an over-priced house will get a lot of showing, which makes the seller think they are priced right. You can still get a lot of showing on a slightly over-priced house, but no offers. When you get showing and no negative feedback, it means you have a price issue. See, agents are afraid to tell another agent that they priced the house wrong, so they say nice things about the house and hope to get off the phone with you. I know because I often ask what agents thought of the price and they seem a little nervous to answer. So, the advice is that if you have a fantastic $170k house, it needs to priced around that number. 2) Avoid the temptation to have a high price and have your agent tell people you are motivated. When I see a steep asking price and the agent says the seller is motivated, what comes to my mind is that they are motivated to get their price. A truly motivated seller will price his house at or less that what it is worth. The days of testing the market are a thing for the history books now. 3) Realize how the market works. You have so many buyers and so many houses. The buyer gets to pick whichever house he/she wants……and they always pick the best one. Even in this sloooooow market, I have been in more multiple offers than ever. It is human nature to want the best. The buyer is comparing all the houses available. Make your house the best one by pricing it right. Trust me on this….There is no magic in real estate. Rarely do I ever see a house sell for more than it is worth. 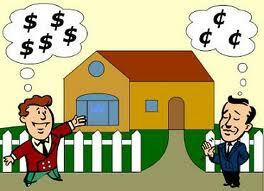 Even if you do find a buyer who will pay too much, you are going to have to convince their realtor too. If the buyer is going to have a mortgage, their lender is going to insist on an appraisal. If the house doesn’t appraise, no loan, no sale. So, the formula you need to get more for your house than it is worth is to find an ignorant cash buyer with an equally ignorant or careless realtor……and I have only had that happen once with one of my listings!